We’d love your help. Let us know what’s wrong with this preview of Painted Devils and the Land of Ordinary Men by Tuan Marais. Zanzibar’s brief and brutal revolution is almost forgotten. During the Cold War, the small archipelago in the Indian Ocean, off the coast of Tanganyika, became significant in the early ‘60s because of its vulnerability and position at the edge of Africa’s rotting Colonial corpse. As had the early Arab slavers, religious pioneers and Imperial European adventurers, so too th Zanzibar’s brief and brutal revolution is almost forgotten. During the Cold War, the small archipelago in the Indian Ocean, off the coast of Tanganyika, became significant in the early ‘60s because of its vulnerability and position at the edge of Africa’s rotting Colonial corpse. As had the early Arab slavers, religious pioneers and Imperial European adventurers, so too the purveyors of Communism and Socialism used Zanzibar as a base for their ambitions in Africa. From here they made swift incisions into the carcass and White Southern African tribes began to show concern while the West shrugged. To ask other readers questions about Painted Devils and the Land of Ordinary Men, please sign up. How can I get an E copy downloaded? I heard about this book when I read about the author's death: I discovered then that he had been at the same school as my brother, just two years above him. It's a fascinating autobiography of a wild and original childhood and adolescence, which delves deeply into themes so familiar to me: boarding school in Colonial East Africa, Indian Ocean living, with all the exotic glamour of beaches and spear-fishing (how often did I accompany my brother on spearfishing trips in that same Indian Ocean! ), s I heard about this book when I read about the author's death: I discovered then that he had been at the same school as my brother, just two years above him. It's a fascinating autobiography of a wild and original childhood and adolescence, which delves deeply into themes so familiar to me: boarding school in Colonial East Africa, Indian Ocean living, with all the exotic glamour of beaches and spear-fishing (how often did I accompany my brother on spearfishing trips in that same Indian Ocean! ), set against the backdrop mostly of Zanzibar in the 50s and 60s. It gives a profound insight of life there before and after independence, and during the revolution. Tuan writes in an original, honest style, and there are some flashes of sheer lyrical brilliance, and wonderfully original images. Loved it. Beautifully written, haunting and enthralling. A book that leaves you wanting more. Fascinating account of the little known facts of Zanzibar's history. 'Painted Devils & the Land of Ordinary Men'is a poignant tale from the time of colonial Africa, the time of cruel boarding schools and stern duty when the British Empire was in its final gasp. Tuan Marais is a child of an unusual and wayward mother, who whisks him away to live with her and his stepfather in Zanzibar in 1955. She instills in her son a sense of difference (she decries the ordinary) but gives him little in the way of skills to deal with swimming against the tide. 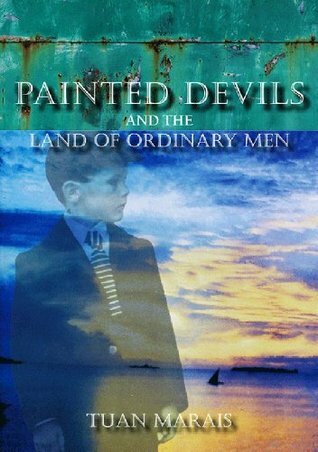 It is interest 'Painted Devils & the Land of Ordinary Men'is a poignant tale from the time of colonial Africa, the time of cruel boarding schools and stern duty when the British Empire was in its final gasp. Tuan Marais is a child of an unusual and wayward mother, who whisks him away to live with her and his stepfather in Zanzibar in 1955. She instills in her son a sense of difference (she decries the ordinary) but gives him little in the way of skills to deal with swimming against the tide. It is interesting to see how little she understands about his life and the challenges he faces. Marais describes a fascinating world: the heady mix of culture in Zanzibar before the revolution, the enchanted life of freedom for a young man at ease on the coral reefs and sands of a tropical paradise. When he is wrenched from his home by the 1964 Zanzibar Revolution he is divorced from his own soul. The painful journey he then travels is not fully described but it has all the hallmarks of a refugee struggling to find meaning in a foreign world. Much later, grey-haired, Marais goes back to Zanzibar but his Eden has disappeared, his youth has fled and he struggles to find a certain acceptance and resolution. Not what I was expecting, didn't have much of an intriguing storyline - was more an interesting account of growing up in Zanzibar over unstable decolonisation - would have liked more depth.